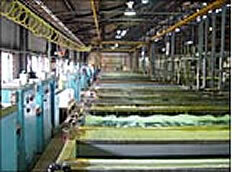 Swift has been providing high quality electroplating, polishing and electropolishing services to its customers since 1951. 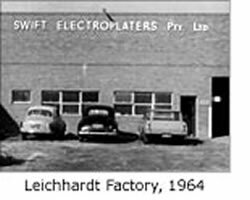 From very modest beginnings in Sydney’s Penshurst and Leichhardt, the business moved to its current premises in Silverwater in the early 1970’s. With 25 employees, the business remains small and very customer focused. Our customers range from individuals through to large corporations and the service we provide ranges from very high quality architectural finishes through to industrial finishes. High quality architectural finishes are essential for tapware, plumbing, kitchen and bathroom hardware, lighting, signage and security products. Industrial finishes are required for medical, pharmaceutical, mining, telecommunications, automotive and engineered products. Customers can access Swift’s staff for technical assistance regarding the most appropriate finish for their requirements as well as design hints that will enable their products to be more efficiently plated. Justin Denniss, our Technical Manager heads up this service as well as pricing jobs. Our General Manager Graeme Hobbs is also involved in pricing, technical advice, production scheduling and customer communications. Our focus on technical assistance, quality finishes to specification and timely turnaround of customers’ products has led Swift to be regarded as the premier plater in our market segment. 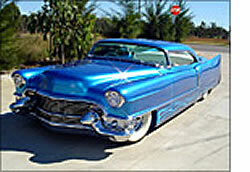 Car Restorers Welcome: Swift works with hot rod builders and car restorers to create award winners, such as this beautiful customised Cadillac.